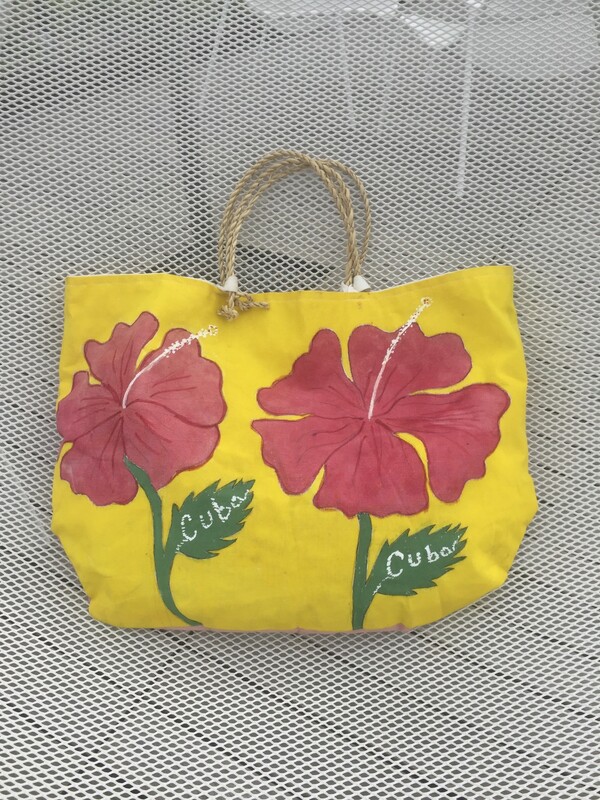 Canvas hand painted double sided tote bag #424C. Bag dimensions 14" x 20" x 1" gusset. 20" from top of strap to bottom of bag.